INDIANAPOLIS (Legal Newsline) - Indiana Attorney General Greg Zoeller announced a settlement on Thursday with multiple major tobacco companies to resolve a long-running dispute over amounts that must be paid to reimburse the health costs of smoking-related diseases. The settlement is the result of a dispute lingering from the original 1998 Master Settlement Agreement between 46 state governments and the major tobacco companies. Since 1999, Indiana received between $125 million and $150 million in MSA payments each April. The participating manufacturers continued to relegate the issue of how much they should pay states relative to their non-participating competitors, triggering a complicated arbitration process. In September, a group of tobacco companies persuaded an arbitration panel to reduce their payments to Indiana and five other states for April, claiming the states did not diligently enforce the agreement terms from 11 years earlier. The tobacco companies decreased their April payment to Indiana to $68 million. Zoeller's office alleged the panel exceeded its authority by creating a new legal definition of diligent enforcement and imposing it retroactively. After Zoeller's office filed a motion to vacate, Indiana became the 24th state or territory to settle the arbitration dispute. 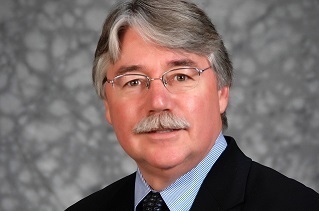 "Nobody gets everything they want in a lawsuit settlement, but Indiana's recovering this amount and preserving future payments at the end of this process is a better outcome than if we had not appealed and not entered into settlement talks with the tobacco defendants," Zoeller said. "By clawing back a larger amount of money from big tobacco, we will provide the legislature some certainty going into the next budget cycle and continue to fund the health programs near-term that depend on this money." Under the terms of the agreement, Indiana will receive an additional $24.8 million payment in 2014 to supplement the $68 million already paid in April. The state will receive a $124 million payment in 2015 from the major tobacco companies. The agreement also compresses and resolves remaining payment disputes. Zoeller's office estimates the major tobacco companies will pay the state $133 million in 2016 and $132 million in 2017. The payments fund current and future programs that address smoking-related illnesses.